Sell Anything to Anyone and Have Them Thank You for It! Next Level Persuasion, 9780992953409, 278pp. 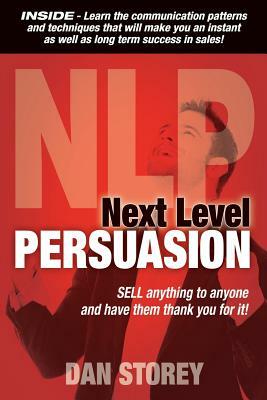 Next Level Persuasion takes the tools and techniques from neuro-linguistic programming and puts them into the hands of salespeople. Based on over 10 years of NLP training in business, Next Level Persuasion gives you hundreds of practical sales techniques that you can begin to use immediately. Although the NLP techniques being used for each stage of the sale are overtly discussed, Next Level Persuasion also provides the step-by-step tactics for embedding these powerful influence tools into your sales conversation. The book looks at every step of the sales process, right from first connecting with your prospect to the point of getting them over the final hurdle of signing the deal. Along the journey, you will learn how to connect with deeper rapport than ever before, ask questions that get the prospect asking you how they can buy, and how to negotiate without having to drop your price. If you want a book that gives you practical applications of neuro-linguistic programming and NLP in business and sales, Next Level Persuasion gives the perfect balance of NLP theory combined with step-by-step sales conversations. Dan Storey is a NLP trainer and Master Practitioner who has been training sales people in how to use NLP sales techniques for over ten years. During this time, Dan has trained sales people across Europe from almost every industry including IT, finance, advertising, health and fitness, education and, believe it or not, exotic dancing. Over the years, Dan has refined these techniques to become even more powerful for salespeople to use and it is the end result of this work which makes up Next Level Persuasion.